A new town called Bytown was re-named Ottawa in 1855, and it became the capital of Canada upon federation in 1867. Sir William Clark arrived as Britain’s first high commissioner to Canada (or any dominion) in 1928. With no precedent for a high commissioner’s residence, there was no consensus about the size it should be or the status it should project. Clark moved into a furnished house at 251 Cooper Street for a few months while the options were being weighed. 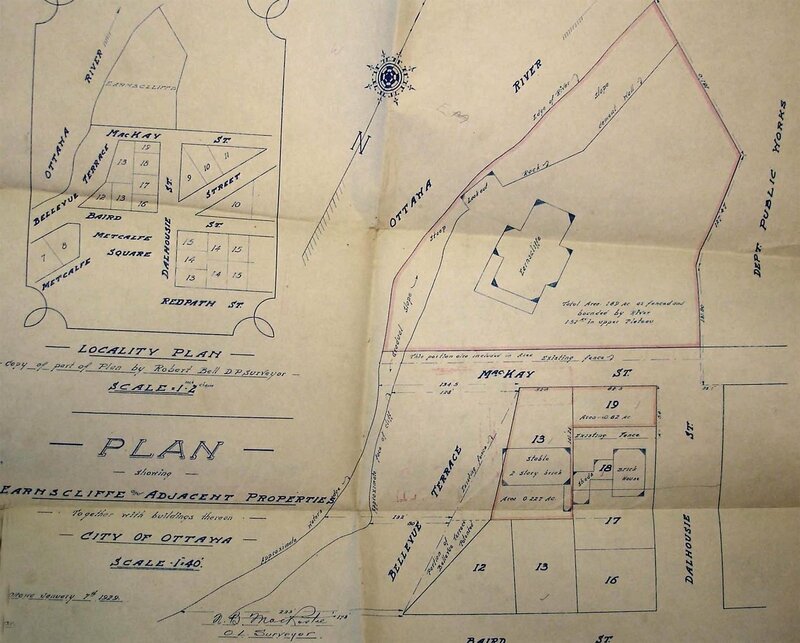 London agreed in principle that a search for a suitable house should be put in hand and a few possibilities came to light, including a site on which a residence might be built. In April 1929, Clark was able to tell London that a most promising house called Earnscliffe might soon be coming on to the market. 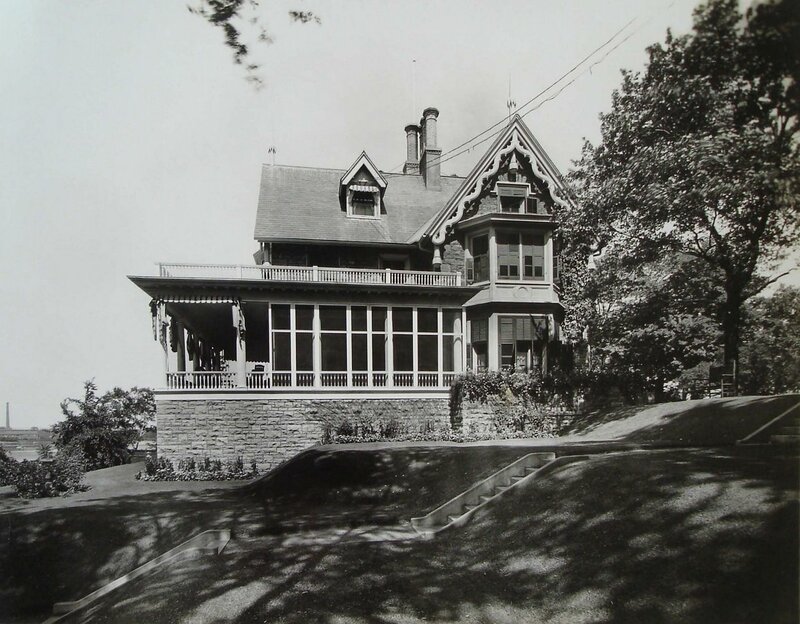 It had once belonged to Sir John Macdonald, Canada’s first Prime Minister, and stood on a fine site by the Ottawa River in the good suburb of Rockcliffe. 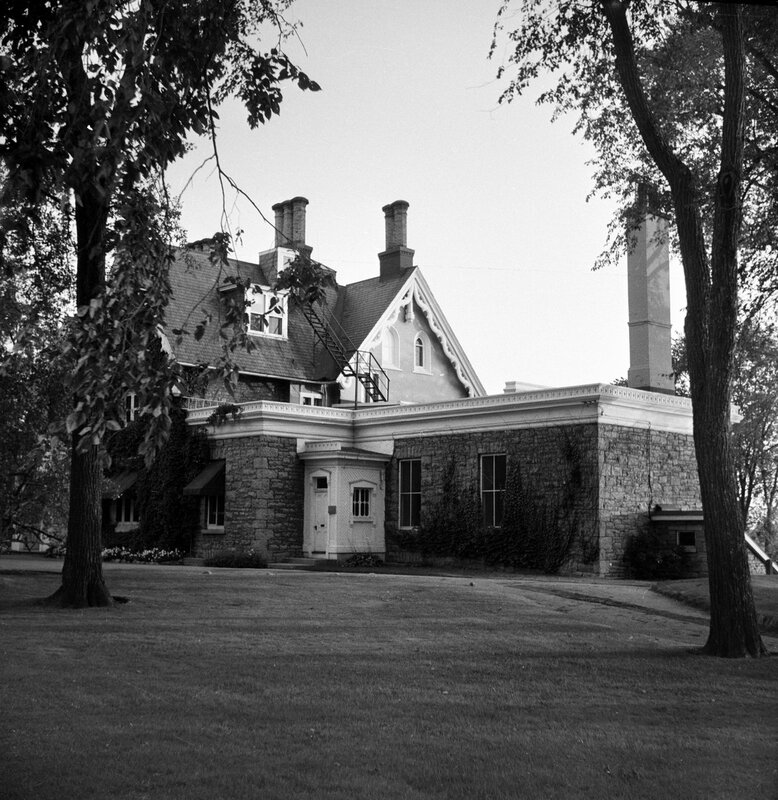 It was possible that the (Canadian) Conservative party might want to buy Earnscliffe as its leader’s residence, and Clark knew that three other foreign governments were looking for suitable houses. The chief architect of the Office of Works, Richard Allison, visited Ottawa in September 1929 and thought that Earnscliffe would be a satisfactory acquisition if it became available. Two months later it did, and was offered to Clark, with about 1.5 hectares of land, for $100,000 with the Canadian Prime Minister’s assurance that the British government could not do better than buy this house. The Treasury was content, with two provisos: ‘that the Dominions Office (1) will not make the acquisition of the new Residence the occasion for recommending improved salary or ‘frais’ for Clark [and] (2) will not support Clark in any demand for immediately improving the property beyond such reconditioning and decoration as the Office of Works deem necessary’. An additional financial and operational advantage of Earnscliffe was that the high commission’s offices could be accommodated in the stable block that went with the house. Clark was authorized in January 1930 to offer $90,000 with flexibility to go up to $100,000 and agreement was reached, though the conveyance was complicated by minor title and boundary ambiguities, and peripheral land exchanges. Essential refurbishment and ingoing works were put in hand, and Clark moved into Earnscliffe, and his (few) staff into the stable block, in October 1930. Twenty-three high commissioners later, it remains the residence. Various changes have been made to the house since 1930. The empty attic floor was brought into use for bedrooms and bathrooms in the early 1930s. An enlarged and enclosed porch was built in 1939, and structural alterations and a new staircase and lavatories soon afterwards. 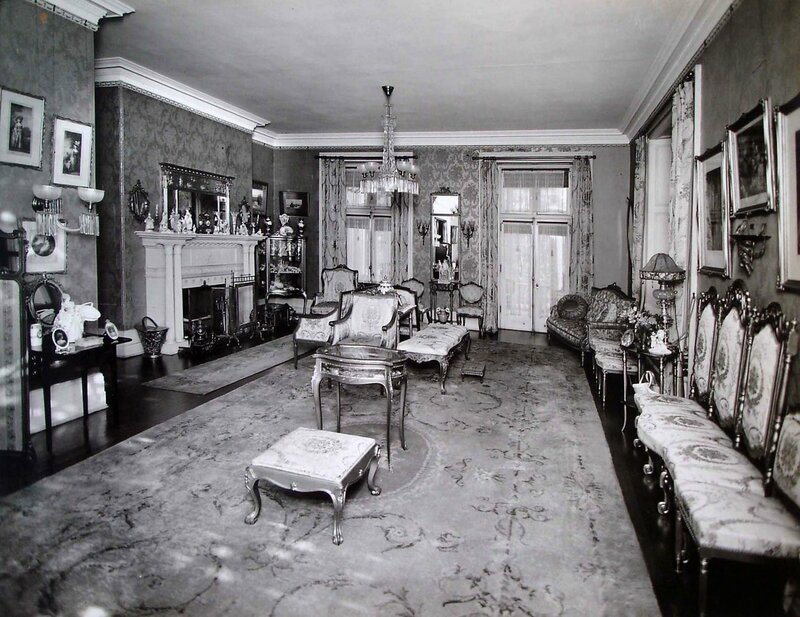 The drawing room was extended in 1954 by enclosing the terrace around the south-west corner of the house. In June 1961, John Diefenbaker, the prime minister, unveiled a plaque in the house to commemorate Macdonald’s association with it: on that occasion he complimented the high commission on the way that Earnscliffe was being looked after. The Macdonald-Cartier bridge, built in the mid-1960s close to the south of Earnscliffe, inevitably affected to some extent the views and peace of the house. The services were upgraded in 1970. After the chancery moved to the new offices on Elgin Street in 1964, the stable block offices were converted to garages and flats for the domestic staff. Earnscliffe is today designated as a National Historic Site of Canada. Thomas McKay, a Scotsman, arrived in Canada in 1817 and became a wealthy contractor, mill-owner and politician. In the 1830s, he bought a thousand acres of land that became known as Rockcliffe Park and built Rideau Hall for himself on part of it. 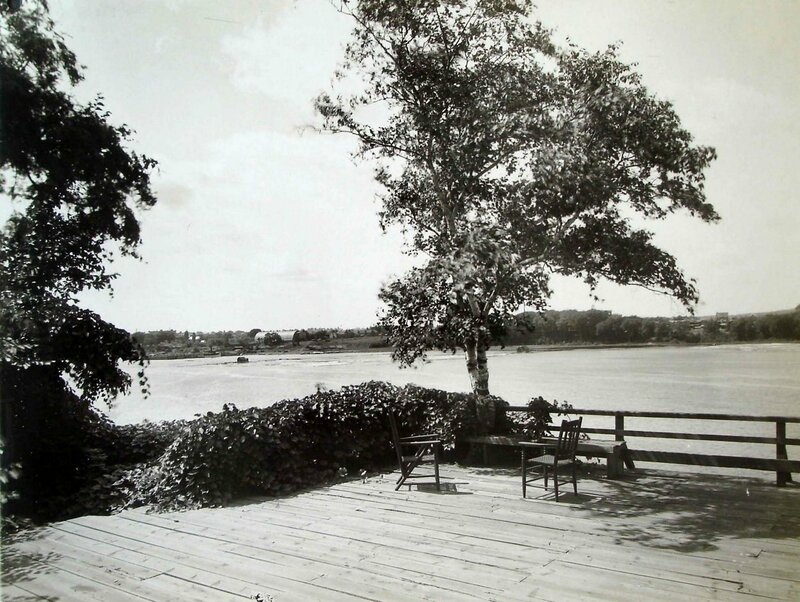 In 1854, the year before he died, McKay sold rather over an acre of his land on the western side of the Rideau river to his son-in-law, John MacKinnon, who had married the eldest of his sixteen children. MacKinnon completed a house on this site in 1857. It was ‘a sensible Scots-type family house with three storeys and a basement, built by Scots masons for a Scots emigrant who had done well for himself.’ The ground floor consisted of three good but unpretentious rooms and two small rooms, the first floor of four bedrooms for the family, while the basement and attics housed the servants. MacKinnon died in 1866 and his house was bought from his family in 1868 by Thomas Reynolds, ‘an energetic Victorian patriarch’. 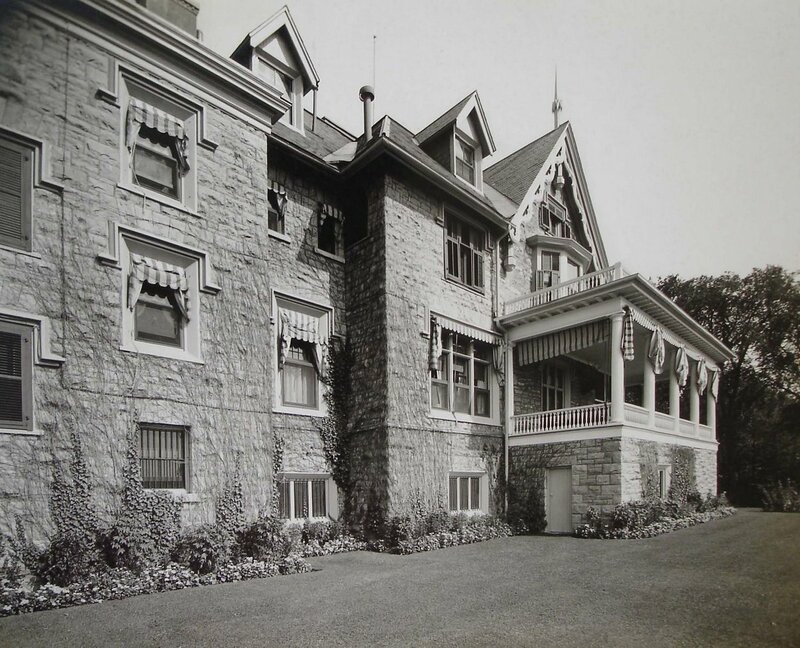 Reynolds leased it for a year or two to the military as a hospital and then for a short spell in 1870-71 to Sir John A. Macdonald, who is said to have suggested the name Earnscliffe (an earn or erne being an Old English word for eagle). Reynolds himself moved into the house in 1872, only for it to suffer a serious fire two years later. This gave him the opportunity to improve the planning of the house, including by enlarging the drawing room westwards to incorporate a balcony. Reynolds continued to live here until returning to England in 1879. 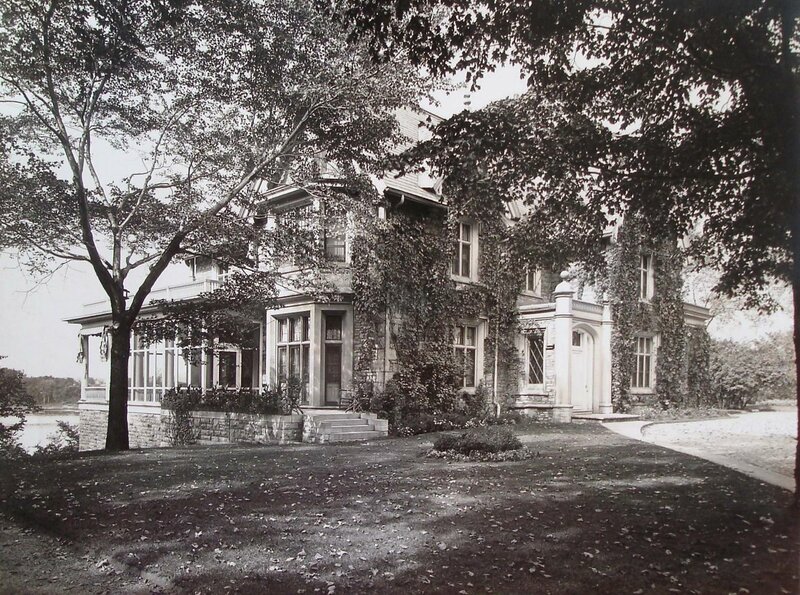 He died soon afterwards and his children sold the house in 1883 to Sir John A. Macdonald, who lived in it throughout his time as prime minister (twice). 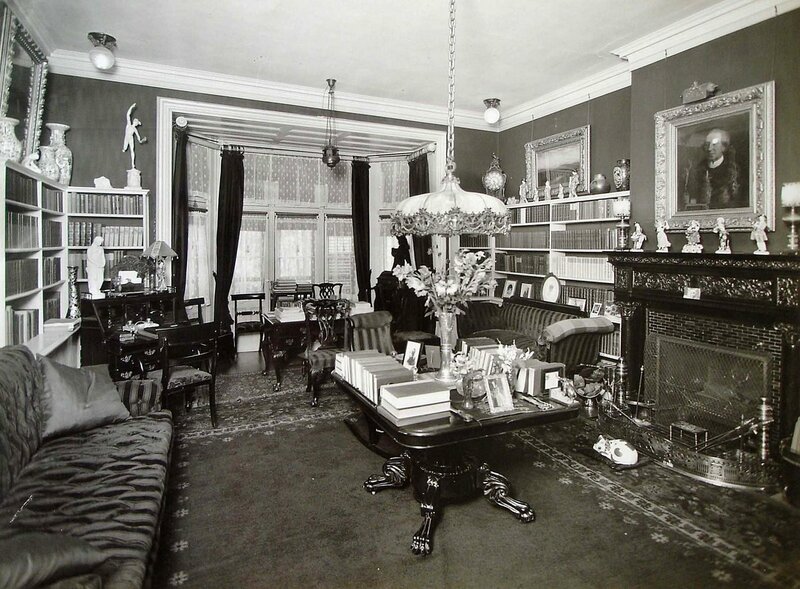 In 1888 the pressure of so many visitors on the few rooms caused him to convert the dining room, on the right of the entrance, to his study, and to extend the house northwards with a small ante-room for his private secretary, a large new dining room, and a secondary staircase: his architect was William Hodgson. Macdonald died in harness in 1891 and his widow, now ennobled as Baroness Macdonald of Earnscliffe, let the house until 1900. In that year she sold it to Mrs Ella Harriss, an American lady whose second husband was a distinguished English musician. She straightaway added the terrace and balcony above it along the south side of the drawing room, and the bow-window to the bedroom above the library: her architects were Messrs. Burritt and Meredith. She died in 1924 and her husband in 1929: it was his executors who sold the house to the Ministry of Works. A strange uncertainty overtook the future of Earnscliffe in the early 1960s. The high commissioner, Sir Savile Garner, in November 1960 reported that he had been ‘receiving persistent rumours that the Canadian authorities would like to acquire Earnscliffe as a national memorial’, given its associations with Sir John Macdonald. He cited several factors: the Liberals had a national ‘shrine’ in Laurier house, the home of their former leader Mackenzie King, while the Conservatives had nothing comparable; the new Conservative prime minister, Mr Diefenbaker, was a great admirer of Macdonald; and the centenary of confederation in 1867 was only a few years off and many might think it appropriate for the Canadian government to acquire Earnscliffe then. A Canadian minister had told him, perhaps teasingly, ‘how glad he was that Earnscliffe was owned by the British Government since it would have made matters so much more difficult when the time comes to take it over if they had had to deal with the Russians or perhaps difficult Latin Americans’. Sir Edward Muir, Secretary at the Ministry of Works, minuted ‘I should myself be exceedingly reluctant to see Earnscliffe go. … We should, I suppose, have to ask the Canadians to provide us with both the site and the cash to build an equivalent – but the faint hearts in the C[ommonwealth] R[elations] O[ffice] might, when it came to the point, even boggle at that!’ The next high commissioner, Lord Amory, lived up to Muir’s expectation. He recommended buying the Manor House, an acceptable alternative that had come on the market, and offering up Earnscliffe before plans for the new bridge were further advanced so that the gesture could not be misconstrued. Muir told the Treasury ‘I see no earthly reason why we should give the Canadians Earnscliffe. If they liked it enough to pay us £100,000 … it would be a different matter. … And, in any case, as you very well know, we have no money [to buy the Manor House]’. The Treasury agreed with him. John Diefenbaker, the prime minister, told Amory a few months later that he was looking for something to exchange for Earnscliffe. But the issue fell quiet. Two years later, in October 1964, the Privy Council Office in Canada informed Sir Henry Lintott, Amory’s successor as high commissioner, that the Canadian government ‘does not now have any intention of making such a request [as the transfer], and [the Prime Minister, Pearson] sees no likelihood of it being made for a good many years to come, if ever’. 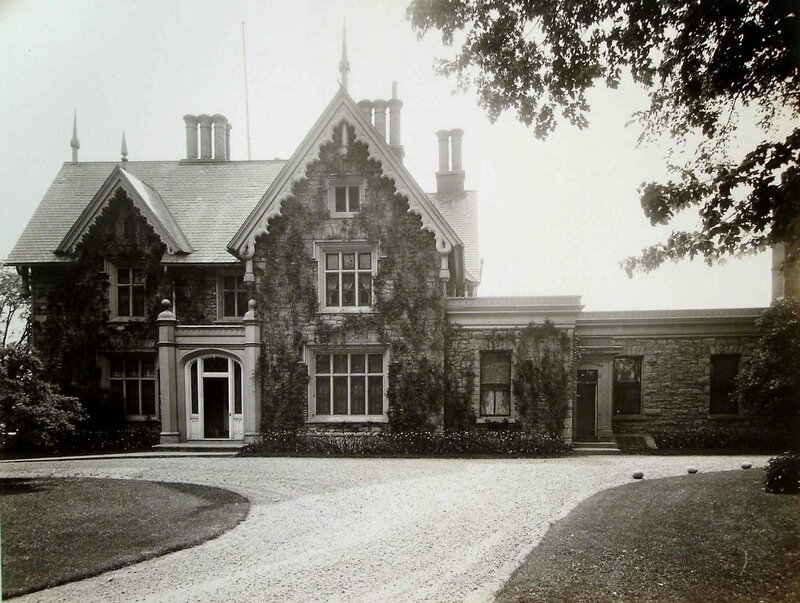 There has been the occasional rumble since then but successive high commissioners have been able to point out that more Canadians visit Earnscliffe as a living diplomatic residence than ever would visit it as a ‘shrine’. The good house and garden at 120 Lansdowne Road, bought by the Ministry of Works in 1960 for the deputy high commissioner and that was earmarked as the likely bolthole if Earnscliffe ever had to be given up, was sold during the 1990s. The above abbreviated history of Earnscliffe is mainly drawn from a 1955 illustrated booklet written by Norman Reddaway, entitled Earnscliffe: Home of Canada’s first Prime Minister and since 1930 Residence of High Commissioners for the United Kingdom in Canada, and published by the Commonwealth Relations Office in 1955. The possibility of losing Earnscliffe is recorded in WORK10/570 in The National Archives. 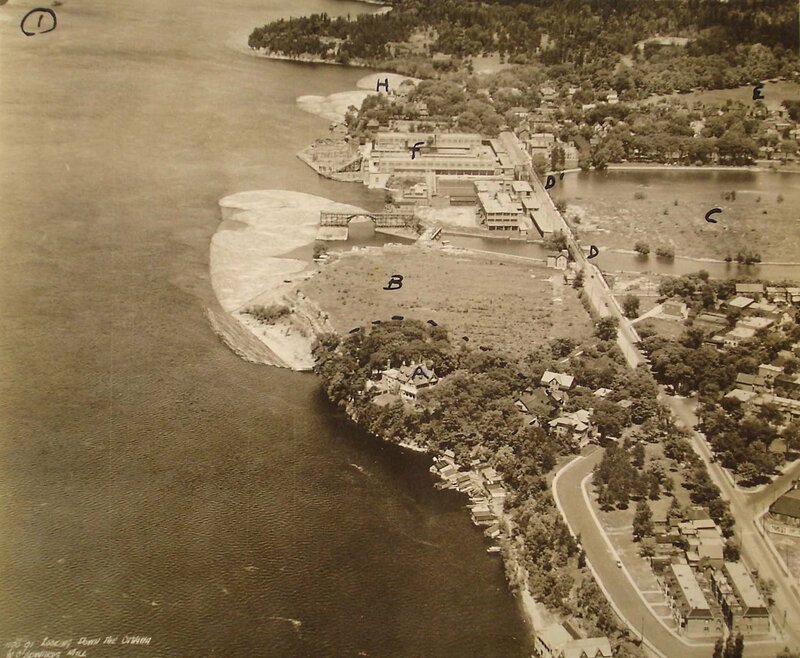 Aerial view, looking north up east bank of Ottawa River , with Earnscliffe in foreground (marked A), 1929. 1929 plan of area surrounding Earnscliffe. Lot 13 and north part of Bellevue Terrace were included in the sale. Main, east, front of house, 1928. 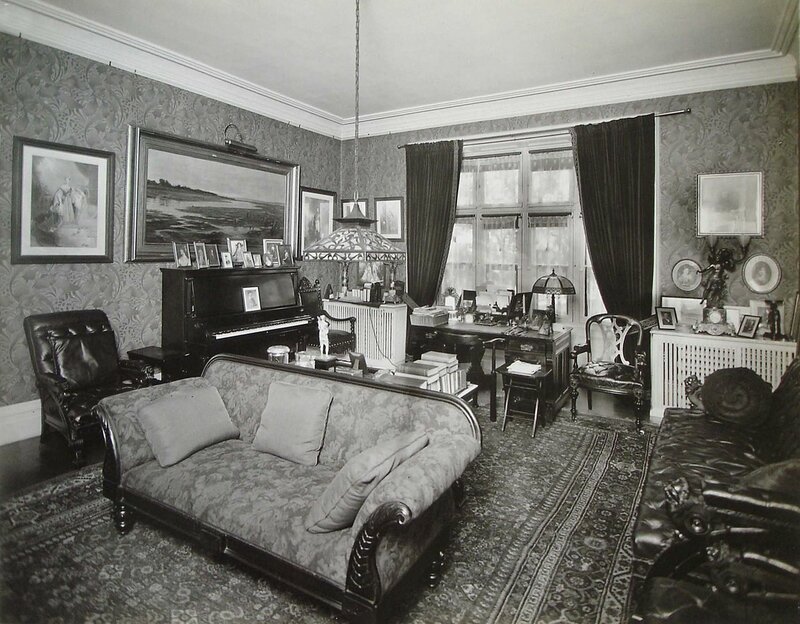 View from north-east, with Macdonald’s 1888 dining room extension, 1957. View from north-west of river frontage, with drawing room terrace unenclosed, 1928. View from the south-east, 1928. View from the look-out platform, 1928. 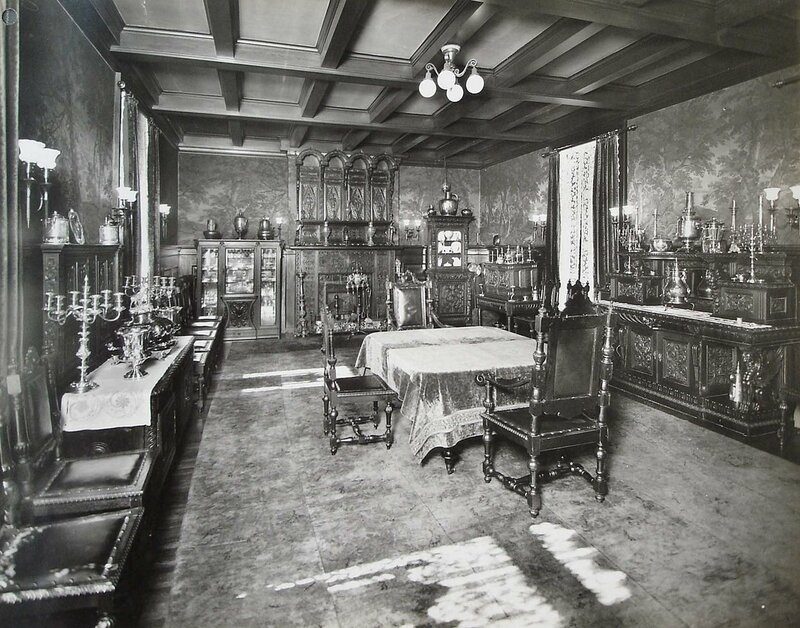 The dining room pre-purchase by the Ministry of Works in 1930. 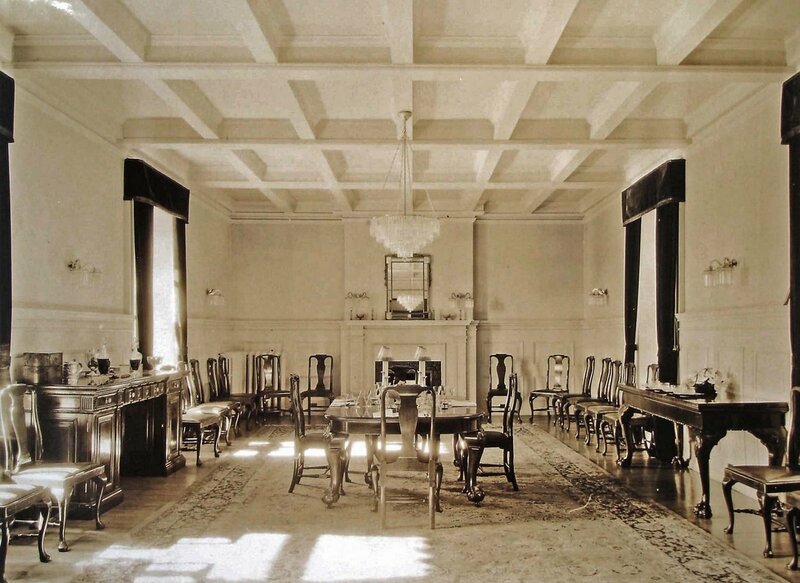 The high commissioner’s dining room, 1931. The study (originally the dining room), pre-purchase. 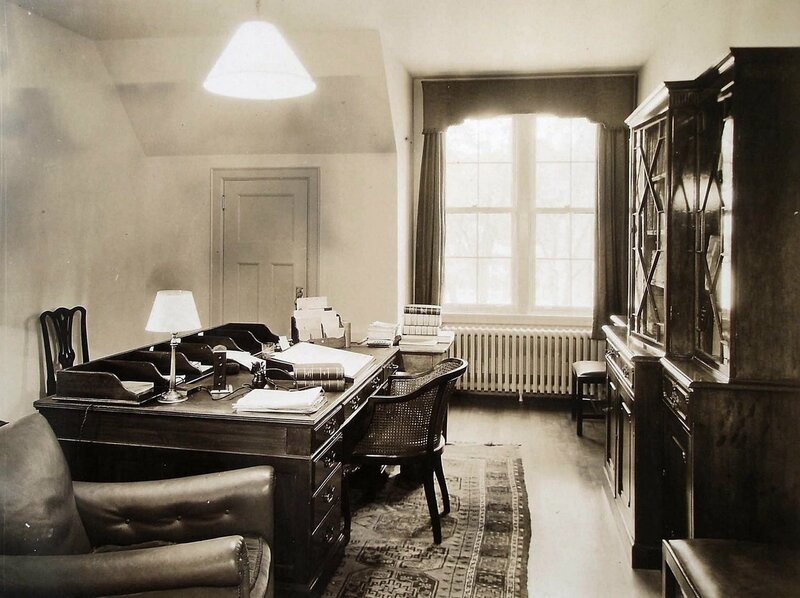 The high commissioner’s office in the stable block, 1931.